Scraps York trash pickup services consist of three separate services. York Bulk Trash Removal: We are happy to remove those large, bulky items from your property. Just like your trash, you are not required to put these items on the curb, but they must be removed from the house. York Residential Trash Removal: Scraps will take care of your trash pickup needs. We try to do that in as convenient a way for you as possible. 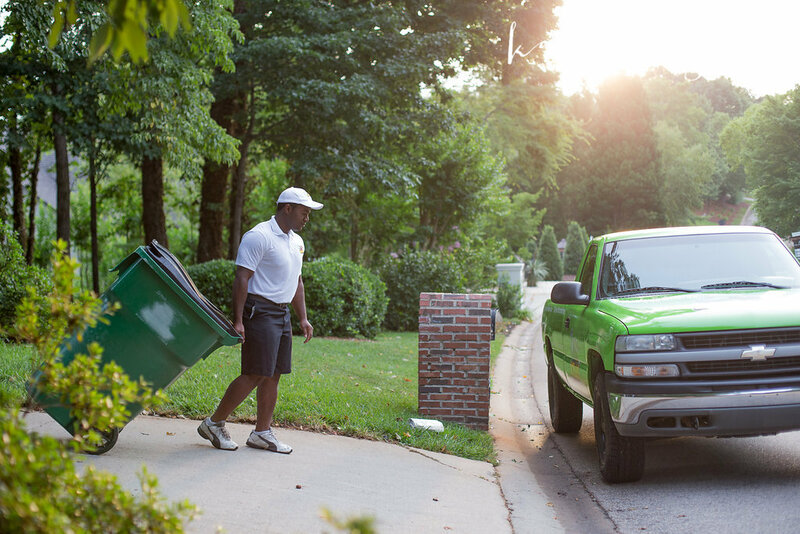 York HOA Trash Removal: Scraps provides trash removal/collection service for neighborhoods with Home Owners Associations in York all of York County, SC. Scraps Trash Removal is more than just a York SC trash pickup company- we are a community partner and an advocate for those with disabilities. We want to do more than just provide a great York trash pickup service, we want to give back to the community and our neighbors. We felt that a great way to do that would be with who we hire; Scraps trash removal in York SC is proud to be working with more than one organization on recruiting and hiring those with disabilities that can make it challenging to find work in today's economy. As a York Newcomer, you'll want to set up utilities, register to vote, and even learn about the local community. First step, make sure you don't fill your house with trash by forgetting to get a reliable trash pickup company in York, South Carolina. Scraps brings fresh ideas and solutions to the business of a garbage removal in York, South Carolina. We provide the best residential garbage pickup in York SC because of our convenience, experience and reliability. Scraps would also like to welcome you to the city of York, in York County! We always enjoy meeting our new clients and offering you the most reliable trash pickup in York South Carolina. Will you pickup trash at my curb? We will do something even better for you, with Scraps, you don't even need to bother bringing your garbage to the curb. We will pickup your trash at the easiest location for you on your property. You'll never have to deal with dragging that heavy trash can to the curb again. Call Scraps to learn more about our residential trash removal in York, South Carolina.